More and more people are going down different paths of healthy living these days, and even people like me (who can’t seem to give up cheese) are finding themselves eating healthier. Well, I’m making strides. I’ve eaten a few vegan/vegetarian recipes that furthered my concept of boring health food. Essentially I’ve had a lot of salad and faux meat dishes that were pretty sub-par. But, over the holidays I incorporated vegan options for some of my more health conscious family, and I have to say I was pleasantly surprised with the results. One of the scary things to me about going vegan is that I have a sweet tooth that is fueled by my baking love affair. It wasn’t until recently that I learned vegan recipes are just as awesome (and guilt-free). Yes, everyone, I made my first foray into vegan baking which I’ll be honest, doesn’t really feel like baking (this recipe, for example, doesn’t use an oven). But, the results were most definitely worth it. Let me give you a scenario. I have two members of my family who are vegan, one who is allergic to dairy and gluten, a few of us who are health conscious, and then the remainder who haven’t had much experience with vegan friendly meals. I was pretty concerned about everyone being satisfied, so I made one traditional pecan pie and one raw vegan pecan pie. 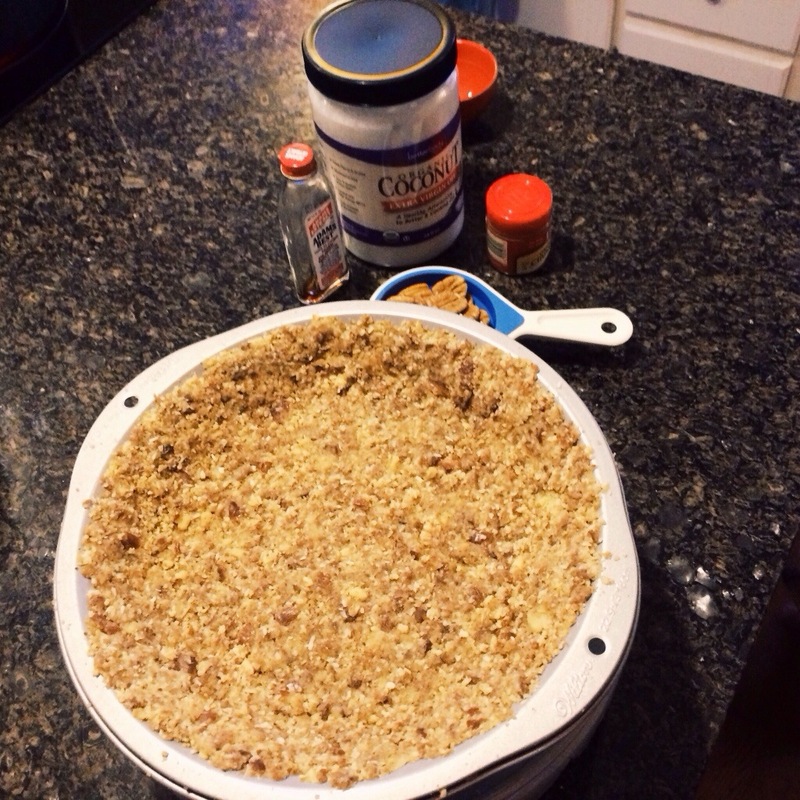 The crust (w/o a food processor) I didn’t get a chance to take an after shot because it got devoured! The raw vegan pecan pie won the battle. All sides came together and devoured that pie after hesitantly taking that first bite. I myself, who is a staunch traditional pie lover, found myself head over heels for this little pie. Perhaps there is a future for me in the vegan world after all. I thought I would share this recipe with you because I was so blown away by the results. I mean, a raw pie doesn’t sound good to me, but it was whole-heartedly welcomed by my stomach. Just click the blue link above the picture and enjoy! Thank you to Food52 for sharing this incredible recipe that brought all different eaters together at the holiday table! As a quick side note, you will need a good blender, and better yet, a food processor. I did not have the food processor so it is doable if you don’t, but I imagine it will make the recipe look more like the pictures. This was my first adventure into this type of food preparation and it is pretty forgiving to newcomers. 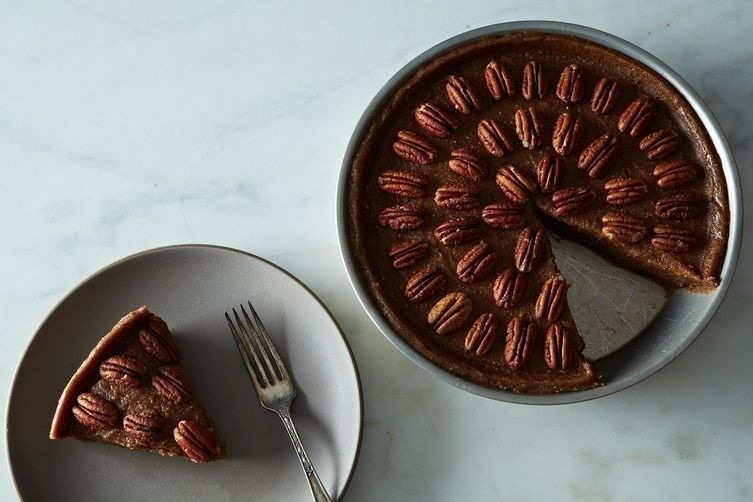 Raw Vegan Pecan Pie that everyone will love!